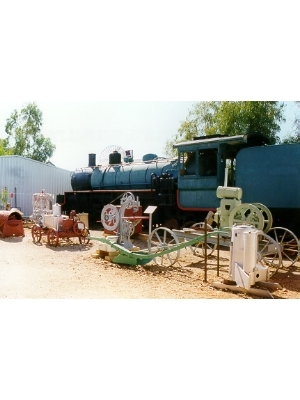 The Winton and District Historical Society have operated the Qantilda Museum since 1972. The members of the society are volunteers who donate their time to help educate people about the pioneers who built the outback. 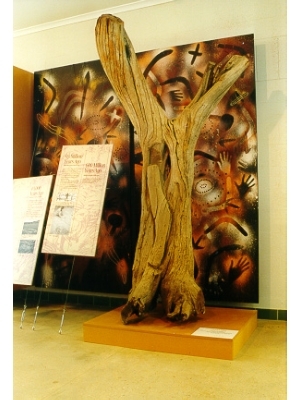 During the 28 year existence of the historical society a huge collection of outback memorabilia and artworks have been accumulated, documented and set out in such a way as to educate people on the livelihood of the aboriginal inhabitants and, the livelihood of the districts settlers and their descendants. A reading room, which is frequently updated, provides an immense collection of reading material that the visitors can peruse at their leisure. The material includes such topics as: Waltzing Matilda, QANTAS, pastoral properties, family history, Viscount crash, transport, war service, recreation, government, education and Winton history. 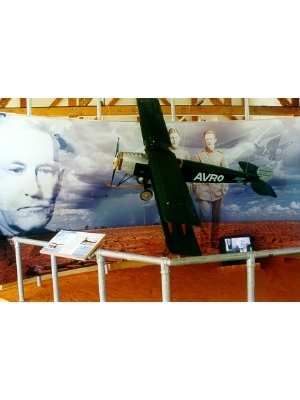 Many events that occurred in Winton have contributed to the development of the Qantilda Museum. As well as being the birthplace of Waltzing Matilda, it is also the birthplace of QANTAS. The shearer's strikes of the 1890's which led to eight shearing sheds being burned down by angry unionists are also of great importance, as these are events which inspired Banjo Paterson to write Waltzing Matilda, It is also the birthplace of QANTAS. The shearer's strikes of the 1890's which led to eight shearing sheds being burned down by angry unionists are also of great importance, as these are events which inspired Banjo Paterson to write Waltzing Matilda, our unofficial national anthem. Adults $14, Senior $12, Child $12, Family $30. 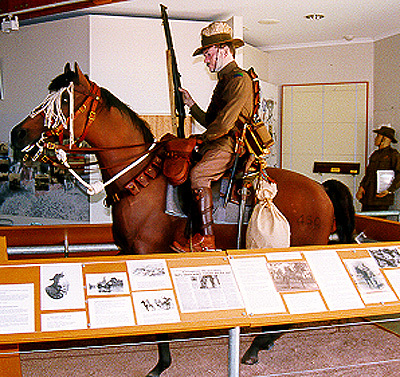 The Qantilda Museum features a remarkable collection of material depicting the heritage of the Winton Shire. 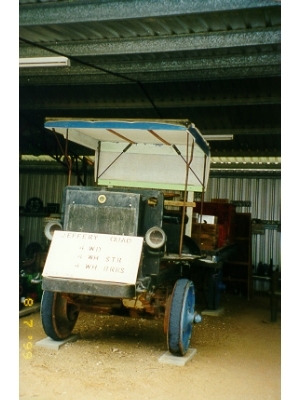 Many vehicles are included in the exhibit, tracing their importance in the development of the rural and town industries. The parade of buggies and early motor vehicles, including a 1916, 4 wheel steer Jeffrey Quad provide a memorable journey back in time to the early day of transport. The steam locomotive, wagon and carriage drawn up at the original Chorregon rail siding also provide a magnificent exhibit. A machinery and tool exhibit depict the transition from toil by hand to mechanised assisted labour. It attempts to provide the visitor with a picture of the ingenuity of people in those early pioneering days. The Light Horse Monument, World Wars I and II and extensive Qantas displays are of great importance to our collection, depicting fascinating stories of our nation's history. An extensive collection of bottles, aboriginal artefacts, household items and photographs from 1870 onwards are located in the Christina McPherson cottage and throughout the rest of the Qantilda Museum, impressing visitors with their old world charm. Steam Engine (No. 1077), carriage and Chorregon Railway siding. Tree shows partly completed boomerang. Came from Winton District Property. Thomas B Jeffery, Wisconsin USA. Thousands of these vehicles were purchased by the French and British governments for use in WWI. The Quad was advertised "Drives, brakes and steers on all four wheels". Many Quads were also sold to domestic users.